Online tee times are not availabile for Faldo. 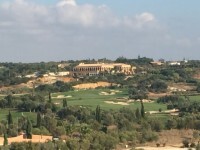 In a modern twist of a traditional recipe, cacti and wild herbs replace the role of heather, Holm oaks and ancient olive trees take the place of lush English woodland, and desert scrub bunkers of crushed limestone replace sandy tracts in a golf course that revels in the classic principles of strategic play. 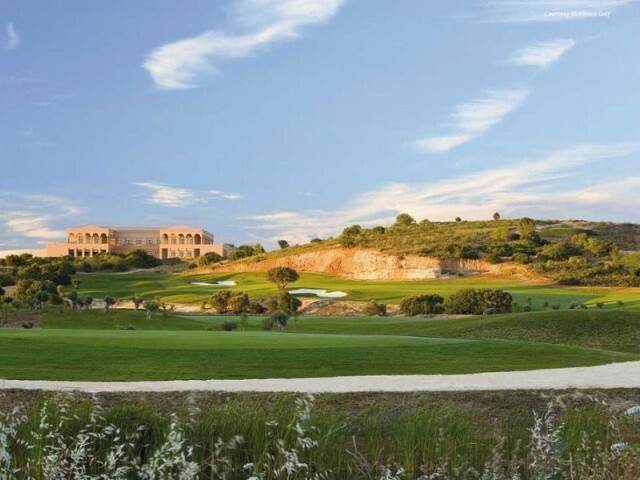 With strategic play in mind, the Faldo Golf Course asks for careful positioning to score well. 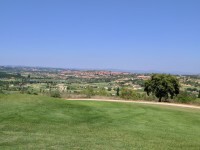 The course first hole is a testing uphill, Par 4, offering a number of risks and rewards opportunities. The downhill, Par 5, hole fourth encounters a meandering watercourse, which comes into play on three of the front nine holes and two of the inward play. Playing the impressive thirteenth Par 5 hole which has a dropping fairway and when the wind is behind the player, will demand good steady shots all the way to the hole. The holes fourteenth and fifteenth holes will continue to challenge the golfer when playing shots amongst rocky outcrops. I got the summer special for myself and my partner and assumed, given the low price, that this course ma may be a slightly poorer relation to some of the higher green fees on the coast. I was wrong; I’m a huge lover of Faldo’s design and this is one of the best I’ve played. It tests your all round game, has stunning views and is a very interesting layout from beginning to end. I particularly enjoyed the elevated tees and would say this is not a course for the faint of heart with many uphill shots and undulating fairways. Definitely take a buggy and definitely include this in your bucket list. Super nettes Personal und der Platz ein typischer Faldo der nicht leicht zu spielen ist, besonders bei Wind. Die ersten 9 sind gut zu Laufen, aber ab der Bahn 11 wird es schon eine Herausforderung bis zur 14. Outstanding quality course. Great clubhouse as well. Greens very very fast and lots of bunkers. Great day though. Excellent course ....very challenging and well-maintained. 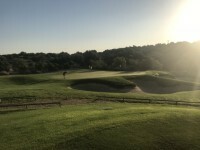 To post a review, score or a notice on Faldo page's or to connect with other Faldo golfers, please log in to your account or sign up using Google or Facebook.